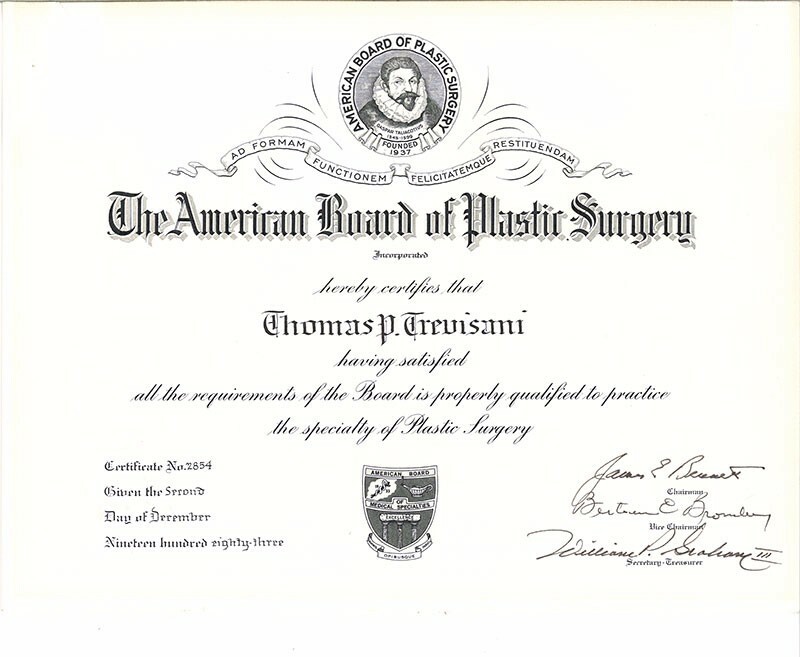 Dr. Tom Trevisani is currently certified by the American Board of Plastic Surgery. In addition, he is a member of the Orange County Medical Society, the Florida Medical Association, the American Board of Plastic and Reconstructive Surgery, and was previously on the Board of Directors for the Orlando Chapter of the American Cancer Society. At present, he is on staff at Orlando Health- formerly Orlando Regional Medical Center in Downtown Orlando.